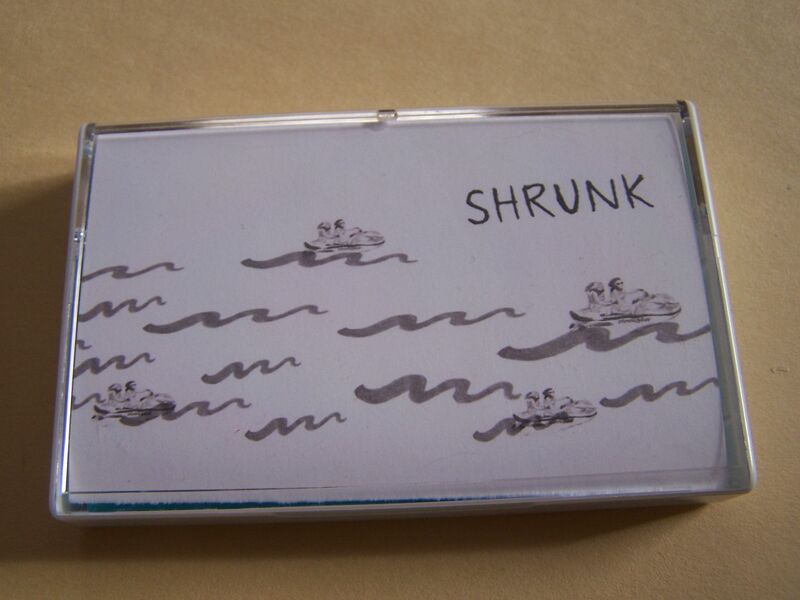 Raised by Gypsies ::: Cassette Review: Shrunk "Shrunk"
Every time that I hear music such as that of Shrunk- and it is not nearly as often as I should- I think the same thing: This simply cannot be described or pinpointed as one influence and rightfully so. It'd be so easy to say, "Oh yeah, this sounds like _____" but the fact is that when you hear music which combines these elements it always feels more like a mix of the various influences as opposed to a direct sound of any one band or even genre. If you really sat down and thought about your favorite band the odds of you recreating their music song for song, note for note, would be rather difficult and just not really seeming like worth the time to do it unless you want to get into that whole "Rock Star" movie thing but even then... So it's hard to say that this sounds directly like The Mr. T Experience or The Rocket Summer mixed with High Pop, but it has those influences that if were not there something similar was at least. It's clanky and tinny guitar riffs with an emphasis on the guitar as well. Not quite fuzz but something like that at first, though some fuzz does come out later on. The last song on Side A is called "Virginia" and it's about the state and it has these "Jesus Don't Want Me For a Sunbeam" chords mixed with Sheryl Crow big guitars. And Sheryl Crow might not have been the inspiration behind that because I highly doubt she's the inspiration behind anything (ever) but it's what I hear, though it doesn't mean "OMG! 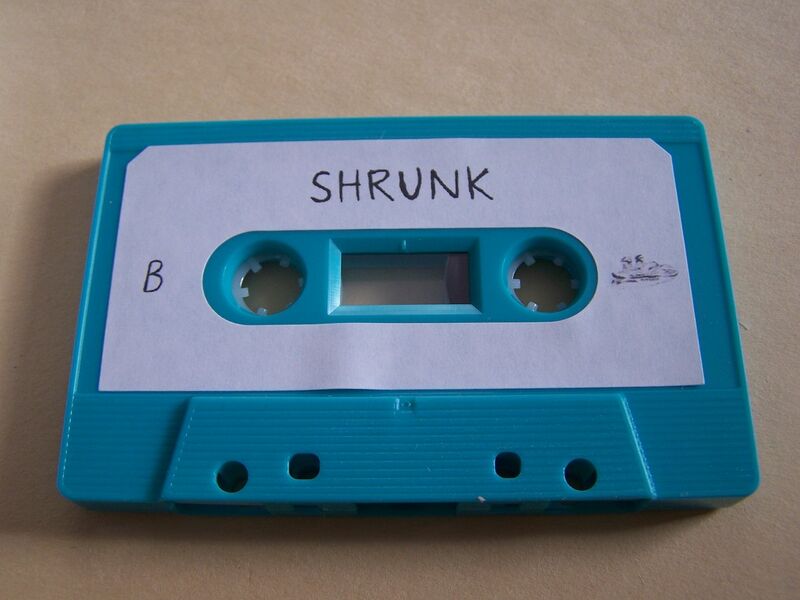 Shrunk = Sheryl Crow". Other times, particularly on Side B, there is some distortion and it can become faster paced like a harder garage sound. It's somewhere between the Replacements and something from the "Angus" soundtrack and not limited to Weezer and/or Smoking Popes. But like I say, you can't restrict this to one genre or other band. 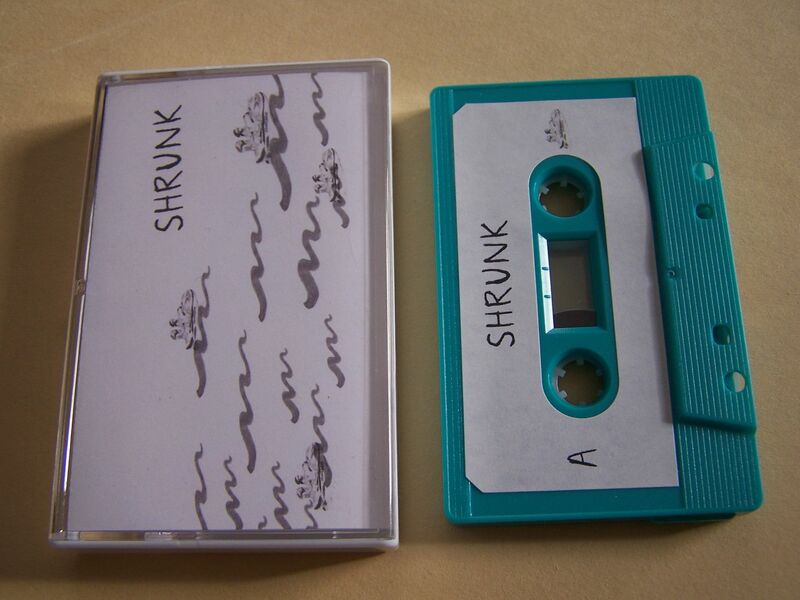 Shrunk takes those ideas that go with that flow of punk/rock n roll/garage... you know the pattern from there, and the sound is injected then spit back out in a way which is unique to Shrunk. One could easily argue that everyone has their own voice. What you consider to be something might not be the same for someone else. 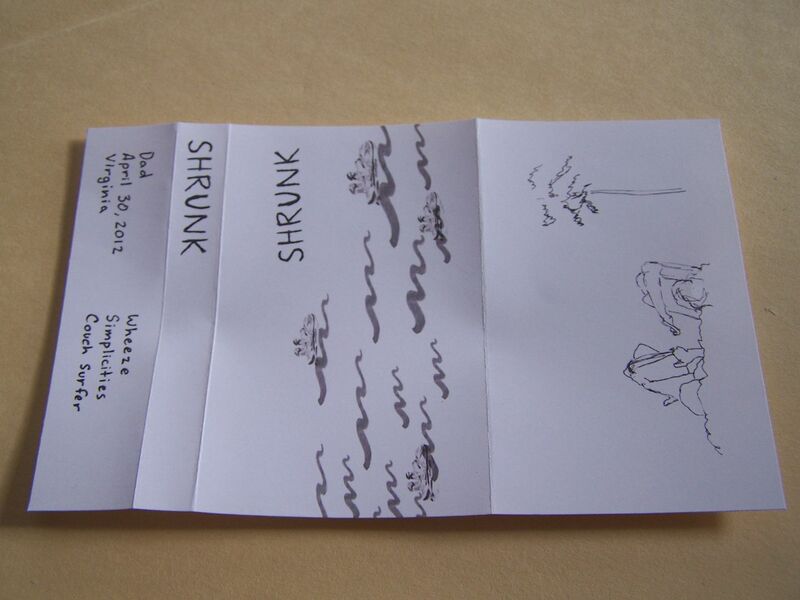 Shrunk is showing how these walls need to be taken down. No longer is it accurate to really compare bands with other bands because there are so many different styles of music now that you can think you have a band figured out until they throw in a surf riff. 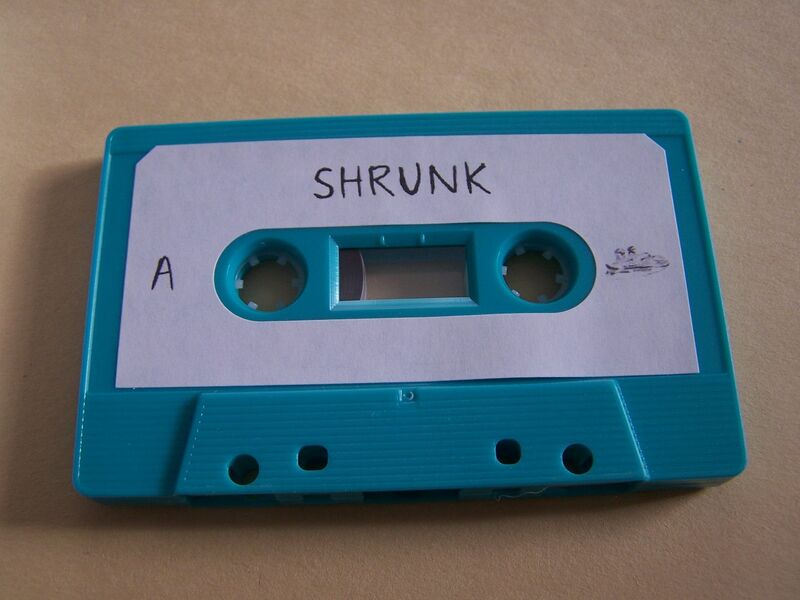 So let's go into the next evolution of music with Shrunk together, shall we?